KATHAMNDU,June 10: John Players, the premium men's wear from Surya Nepal Pvt Ltd has launched new collection from spring and summer. "This collection offers vibrant wardrobe essentials spanning across formal wear, casual wear, and party wear. Denims are a sublime blend of trendy styling, comfortable fitting and excellent textures and everything that appeals to the new generation," the company said in a statement. "Rush to John Players exclusive branded outlets and be the first to grab a delightful Timex watch offer by purchasing garments worth Rs 7,499." 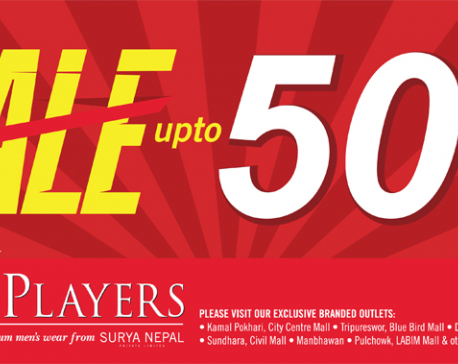 John Players has exclusive branded outlets at Blue Bird Mall, City Center, Civil Mall, Durbarmarg and Manbhawan in Kathmandu and other leading garment stores across the country.